Crab Stitch. Reverse Single Crochet. Crab stitch is a simple single crochet stitch, but instead of right to left it should be worked from left to right. That's why there is one more name for this stitch - Reverse Single Crochet. It looks pretty decorative and reminds me of a cord. A corded edge or shrimp stitch are other well known names for the stitch. It is a good decorative border for a finished edge. Reverse single crochet can be done both on a knitted or crocheted fabric. It firms up the edge preventing it from rolling. At the same time, decorative cord looks light and neat. It is a good solution for rounding off armholes and necklines where steps of decreases are noticeable. In case you would like to insert a zip, a decorated "frame" of stitches along the edges will make it look neat and finished. 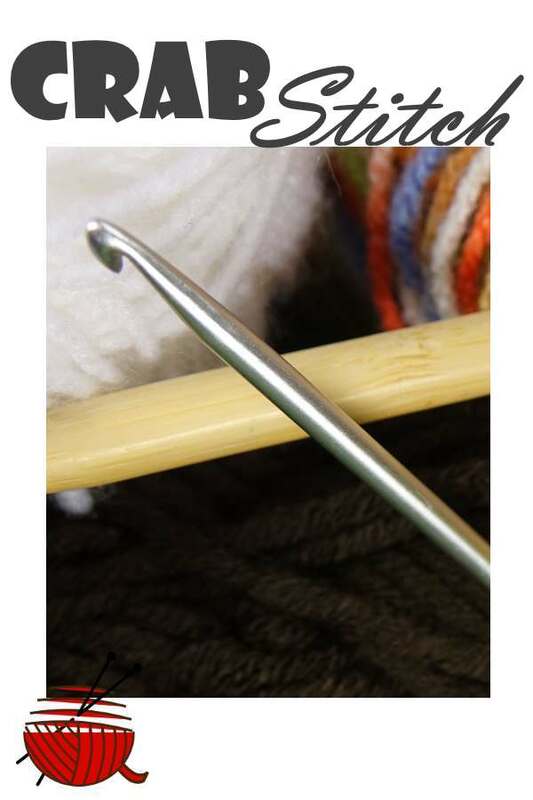 A reverse single crochet stitch is a good "trick" to adjust a wavy and stretched edges (usually it happens on the bottom of the sleeves, sweater or a dress.) Crochet a row of the single crochets to make the edge fits you. Did not manage to make it proper from the first attempt? Try one more time till you figure out how many single crochets on the edge you need to make it fit. Use that row as a base for a decorative stitch edging. How to crochet a Crab Stitch. The stitch is easy to do, but it certainly requires some practice to make it look clean-cut. Reverse direction of crocheting confuses you a little bit from the very beginning. Especially if you tend to crochet pretty tight. It does get better with practice. You should crochet from the left to the right (right-handed people). Yarn is in the back of the work. Insert the hook from front to back at the end of the row. Chain one for height. Yarn over. Draw up a loop. There are two loops on the hook. Yarn over. Pull yarn through both loops as usual for a single crochet. Continue across the row inserting your hook at right to begin the next crab stitch. As usual, I can say that it is easier to watch the video instead of reading or listening some one's explanations.